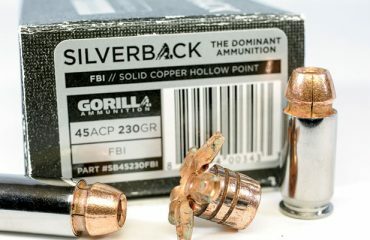 At SHOT Show this year, Gorilla Ammunition unveiled its new Silverback line of solid copper hollow point self-defense ammo. 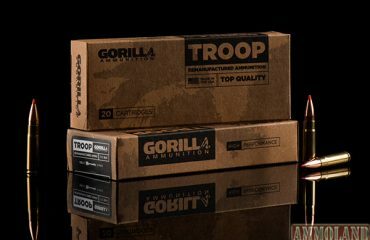 It’s available in .380 ACP, 9×19, .45 ACP, and .300 BLK. Except for the .380, each caliber is offered in a couple bullet weights and expansion styles, all of them featuring 100% copper, CNC’d projectiles. 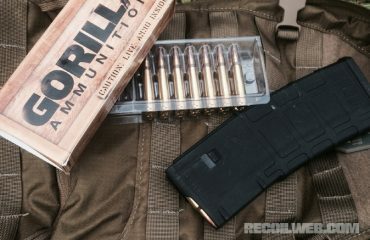 I got my hands on a few boxes of .380 and both types of 9mm, and figured I’d put it through some brief testing.